Join Son of a Pony and Three Rooms Press as poets take over Governor’s Island for the FREE New York Poetry Festival Saturday & Sunday, July 30-31 from noon-5 each day. The Son of a Pony Posse will read on SATURDAY, JULY 30 at 4:30 PM on the BRIGADIER stage. Featured poets include Hala Alyan, Peter Carlaftes, Kat Georges, Brant Lyon, and Jane Ormerod. During the reading, we’ll have free giveaways including books, cds & more! Meanwhile, Three Rooms Press will be there both days with a table showing our latest offerings for you to check out! With over 30 reading series, 100 poets and tons of vendors on board, the festival connects disparate poetry communities by bringing poetry out of the dark bars and universities, to a place amongst elms, plein trees & sycamores on an island in the sun. Bring a picnic, blanket, sunscreen, and lots of water! There will be a Pre-Fest Party and Fundraiser at the Bowery Poetry Club on Thursday, July 21st, 8pm-2am. Tickets are $10 and support this free festival. Hear curators of the series to be presented at NYPF read their work, and dance to live jazz from Shawn Randall and tracks from DJ Eliel Lucero, among others. 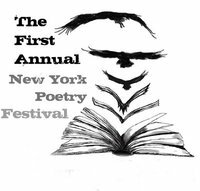 NYPF’s sponsors include City Winery, Sixpoint Brewery, and Bowery Poetry Club.